Following overnight debate, lawmakers voted early Wednesday morning on that measure. The bill would also limit early voting in Wisconsin and give state lawmakers more power over the state's economic development agency, which Evers has said he would like to eliminate. In the wee hours of the morning, the plan passed the state Senate on a vote of 17-16, with Republican Sen. Robert Cowles, R-Green Bay, joining all Democrats voting against. It passed the Assembly shortly after 8 a.m. with a mostly party-line vote of 56-27, with Rep. Todd Novak, R-Dodgeville, joining Democrats in voting against. The bill now moves to Gov. Scott Walker's desk for his signature. "The seeds you're planting may grow into something you will regret," said Sen. Fred Risser, D-Madison. "Be fair. Give the voters the right to choose their governor and attorney general." Evers released a statement Wednesday morning saying Wisconsin values were "pushed aside so a handful of people could desperately usurp and cling to power while hidden away from the very people they represent." "Power-hungry politicians rushed through sweeping changes to our laws to expand their own power and override the will of the people of Wisconsin who asked for change on November 6th," Evers said in the statement. Under current law, Attorney General-elect Josh Kaul could move forward with removing Wisconsin from the ACA lawsuit with Evers’ approval. Under the newly approved bill, approval to withdraw would have to come from the Legislature's budget committee, rather than the governor. Republicans hold a 12-4 majority on that committee. Speaking to reporters before the start of the Legislature's action Tuesday, Kaul said Republicans were trying to overturn the will of voters. "I heard lots and lots of people talking on the campaign about how they believe in … keeping in place protections for people with pre-existing conditions," Kaul said. "But this action is fundamentally inconsistent with that because this is going to make it in all likelihood impossible for the state of Wisconsin to withdraw from that lawsuit if this legislation moves forward." 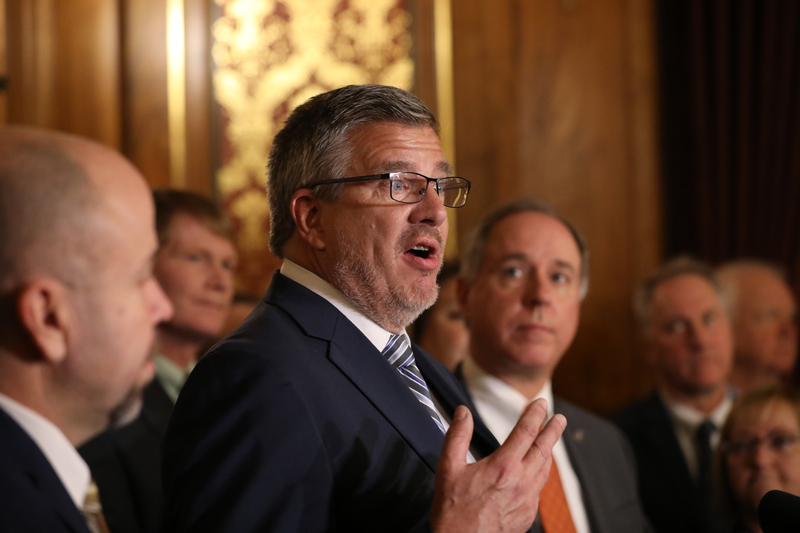 "We're going to work with the governor-elect, but we're going to do it in a way that's balanced between the legislative and administrative level," Rep. John Nygren, R-Marinette, said during debate. Another element of the bill would make it more difficult for Evers to alter some GOP-backed laws, including Wisconsin's voter ID law. "I know you don't like voter ID, but voter ID was passed by the Legislature and signed by the governor," Assembly Speaker Robin Vos, R-Rochester, said during debate. "We know (Evers) could come in on the first day and make Wisconsin out of compliance with voter ID and voter ID is gone just like that." Regarding early voting, the bill trims the state's early voting window to just two weeks statewide. A number of communities, including the Democratic stronghold of Madison, have offered several weeks for early voting in recent years, following a federal judge’s 2016 ruling that struck down previous limits. Another measure passed by the Legislature early Wednesday morning would limit Evers' ability to change state laws that require able-bodied, childless adults to work in order to receive public benefits like food stamps and Medicaid. That plan passed on a party-line vote in the Assembly and Senate, with Republicans voting in favor and Democrats against. 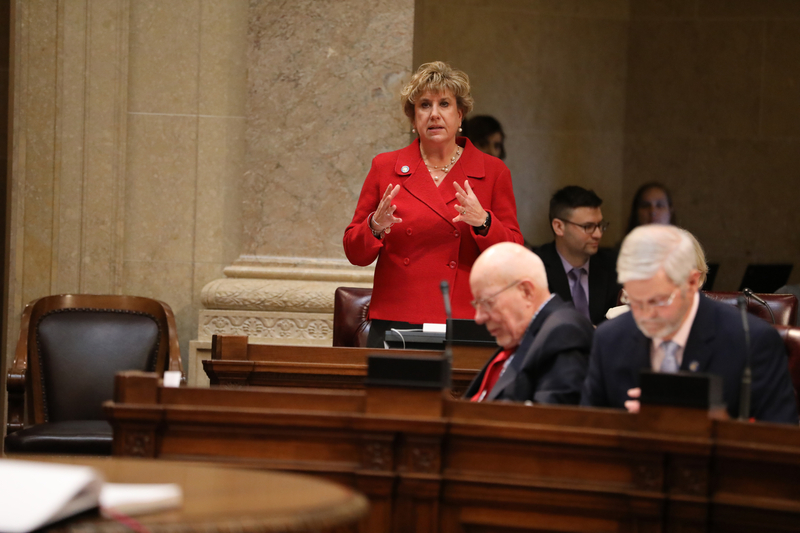 State Sen. Kathleen Vinehout, D-Alma, said the bill will make it hard for the Evers administration to solve problems like providing better prenatal care, as every state pilot program would need approval from the Legislature's budget committee. "This is like the middle school child asking permission to go to the bathroom," Vinehout said. "We’re protecting taxpayers of this state," said Rep. Joe Sanfelippo, R-New Berlin. "We're expecting the people who are able to work to go out and work. There's nothing bad about that." 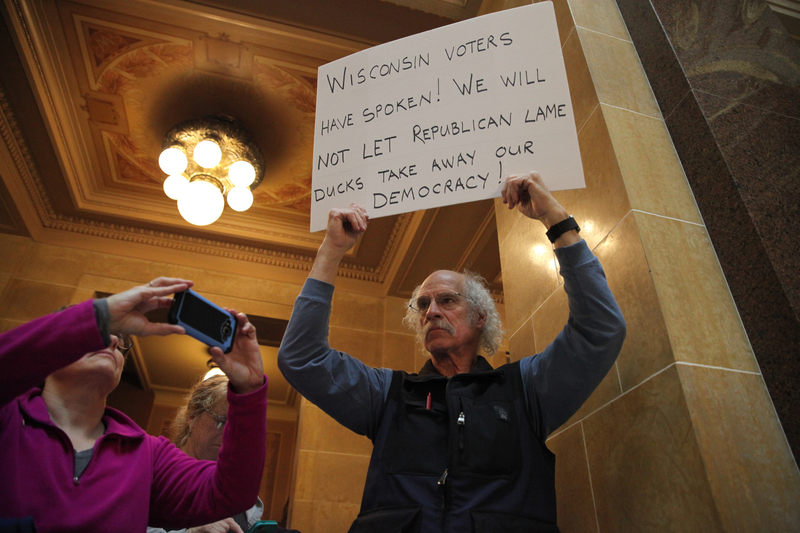 The lame-duck session had several contentious moments, including one in which Republicans who run the state Senate ordered the public gallery cleared, a move that provoked an audible roar from members of the public who'd gathered to watch the proceedings. 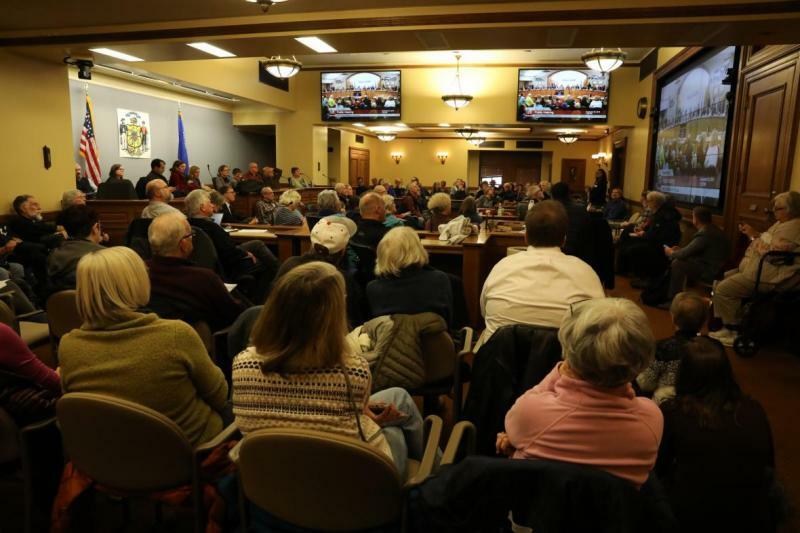 Senate President Roger Roth, R-Appleton, took the unusual step after warning the crowd twice that Senate rules prohibited them from reacting to debate. Deafening chants of "shame" filled the chamber as police escorted people out. After a roughly 40-minute break, Roth reopened the gallery. Among the appointments confirmed were Ellen Nowak for a seat on the Public Service Commission and high-profile attorney Scott Beightol for the University of Wisconsin System Board of Regents. Nowak is a former PSC commissioner who went on to become Walker's secretary of the Department of Administration. Their terms will end in mid-2023, meaning they could outlast Evers' tenure as governor depending on whether he successfully seeks re-election. "Today, you cheat and you steal your way into the next session and administration," said Senate Minority Leader Jennifer Shilling, D-La Crosse. 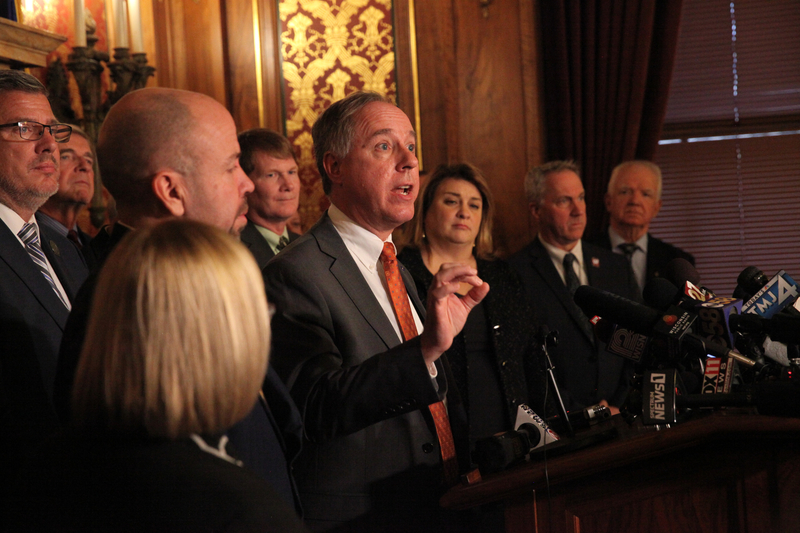 "We're going to look back on this and it's going to be a stain on the Republican majority legacy and Scott Walker's legacy" said Sen. Jon Erpenbach, D-Middleton. "The first thing Scott Walker did when he came through the door here at the Capitol was to create chaos. The last thing he's doing on his way out the door is to create chaos." "We are going to have a very liberal governor who is going to enact policies that are in direct contrast to what many of us believe in," said Vos during the debate. "The people want a government for themselves ... not Republican politicians," Taylor said. "Everything is on the table to stop this pernicious attack on our democracy." While it's not altogether unusual for a Legislature to hold a lame-duck session, the nonpartisan Legislative Reference Bureau said this was the first time in state history that an extraordinary session had been used to reduce the power of an incoming governor and attorney general. Many of the changes to Evers' power involve rulemaking, giving the Legislature more power over a process that Republicans had concentrated in the hands of Walker over the past eight years. Editor's note: This story was originally published Tuesday, Dec. 4, 2018, and has been updated several times.